Here is my first premium plugin. It’s a very customizable Facebook Like Box slider. 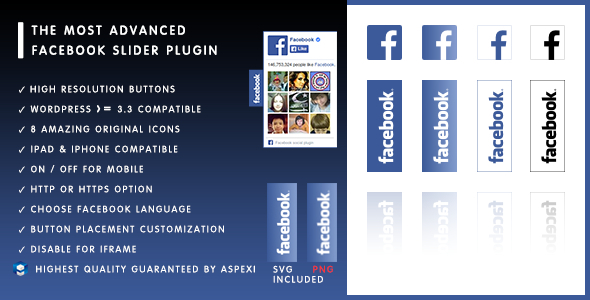 Plugin includes 8 amazing and original buttons in high resolution (SVG). Go to plugin’s page for more information.